Southern Counties Lift Services customer focused maintenance programmes are driven by customer requirements and centred around visit based routine maintenance through to fully comprehensive programs and have a range of contract options to suit most budgets. 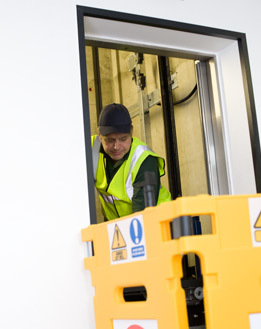 We maintain all makes and types of lifts and our engineers are locally based in the South of England to provide customers with a 24/7 emergency response call out with target arrival time of 2 hours or under*. They are all fully trained and qualified and always identify themselves when arriving on site.